Before departing from your home, ensure that you collect all your letters from your mail box, cancel all the home deliveries, make out to that you lock valuables like, jewelery and important documents in a secure place. It is best that you inform only trusted neighbors and relatives about your departure and return dates. Prior to department, take a few moments and recheck that you have all your necessary documents, belongings, credit and debit cards and medication. 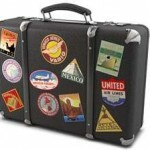 It is recommended that you only carry the credit cards that you plan to use on the trip. Be prepared for the climates that you are traveling to. Always, have with you some medication for cough, cold etc in your medicine kit, and also have the phone numbers of your family doctor. While on travel, make certain that you take care of your health. Increase the intake of your water and do not let your body become dehydrated. Just have light meals and stay away from any kind of junk food. The best travel cloths are those that are loose and that you feel are comfortable. Be cautious, that you don’t fall prey to strangers and perpetrators. Never reveal your personal details to any of the strangers. When you are waiting in the public places, it is important to take care of your luggage, do not leave your luggage under the surveillance of unknown person. The other important thing you should remember is, never show off your affluence, wearing jewelery, gold chains, rings and costlier watches. On your journey to a specific location, have a map of the city, you are in. It would be safe, if opted for a travel insurance, as it will cover risks like medical expenses, legal assistance, trip cancellation and so on. I t is not advisable to carry all your money with you, better if you draw some amount of money from the nearby ATMs. Abide by the laws, rules and regulations of the place you are staying. Be soft spoken and respect the native culture of the locals, and try mingling with them. Leave home safely and excitedly and come back home safely and cheerfully! !